Ignasi Solà-Morales studied in depth theoretically, as well as in his work, the restoration of historical buildings and town centres. As a result, he was assigned one of his most outstanding projects: the reconstruction of the Liceu Opera theatre in Barcelona. Solà-Morales devoted much of his work to the restoration of ancient theatres (the ones of Valls and Torelló, between 1985 and 1988), and gave courses on theater architecture at the university. For these reasons, he was commissioned the project of directing the enlargement of the Gran Teatre del Liceu in Barcelona. However, the Opera theater suffered a devastating fire on January 31st 1994, and Solà-Morales was then assigned to undertake its reconstruction project, that was concluded on October 7th 1999. Xavier Fabré, Lluís Dilmé and Eulàlia Serra collaborated with him, and the three first received the Premi Nacional Patrimoni Cultural handed by Catalonia's government. After this major work, the Liceu reincorporated to the city's life with a more complex structure, more secure and able to fulfill all expectations as the outstanding cultural center it aims to be. The project included the design of its furniture and its finishes, with a modern language that took well into account the place and context. It is the case of the Liceo lamp, especially designed for this occasion by the three architects and edited by Santa & Cole, a handcrafted metal mesh hanging lamp with an absolutely innovative spirit. 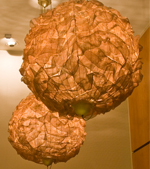 These lamps have been installed in the lobby, the access entrance from the Sant Pau street, and the service entrance. Solà-Morales also remodeled the Pati Llimona in Barcelona (1983-1991), reconstructed the Mies van der Rohe pavilion (the original one was pulled down after the Universal Exposition of 1929), and restored many historical buildings. He also designed houses, schools, sports centers, and restructured the town centers of Marseille, Tarragona and part of Barcelona's. Solà-Morales also devoted himself to theoretical work, and wrote on architecture history and critic. 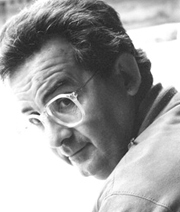 He published the book El arte catalán contemporáneo in 1972, and Eclecticismo y vanguardia in 1980. Furthermore, he gave lectures in various national and international universities.